Wrap-Up -- The young Cavaliers have now dropped 45 games this season, and most of them have been good four-quarter battles. That was not the case on Saturday night. 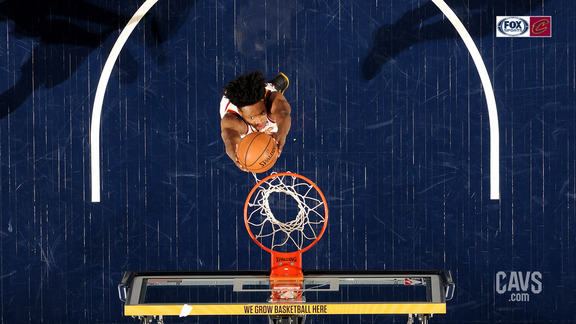 Two days after the Trade Deadline and with the Wine & Gold still tinkering with starting lineups, Cleveland fell behind by double-digits midway through the first quarter and barely made the Pacers sweat from there – falling, 105-90, at Bankers Life Fieldhouse in Indiana. 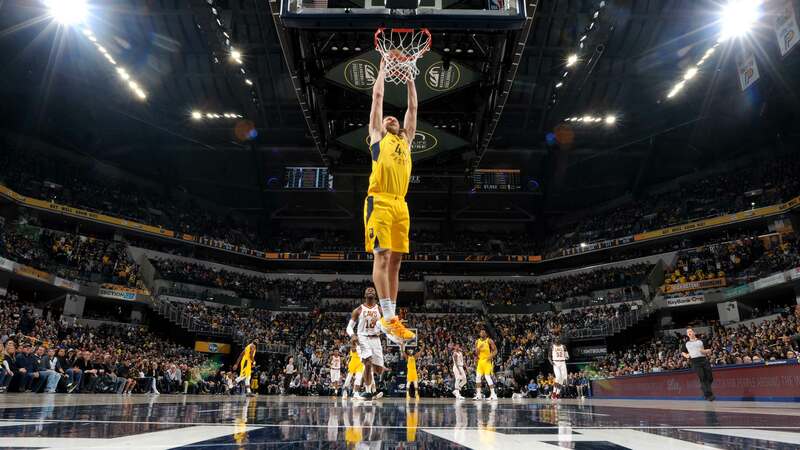 The Pacers – which came in winners of four straight – weren’t at their sharpest on Saturday, but they managed 30 points in the first period and 31 more in the fourth, taking advantage of a Cavs squad that came out sluggish to start the game (and the third quarter). Three Cavaliers notched double-figures in the loss – led for the 25th time this season by Jordan Clarkson – who finished with 18 points in 31 minutes of work off the bench, going 8-of-16 from the floor to go with a team-high six assists. Collin Sexton – who tallied 27 points in each of his previous two outings – tallied 16 points on Saturday night, going 6-of-14 from the floor, including a perfect 3-of-3 from beyond the arc to go with five boards and four assists. Larry Nance Jr. finished with 16 points of his own on 6-of-11 shooting, including 3-of-5 from long-range, to go with a team-high 10 boards and a pair of blocked shots in the win. The effort was a career-best five straight double-doubles for the high-flying scion of the Cavs legend. The two newest Cavaliers – Marquese Chriss and Brandon Knight – each saw action in Indiana, with Chriss getting the start in just his second game with Cleveland. On the night, Chriss finished with seven points and three boards on 3-of-7 shooting. Knight – who hasn’t seen game-action since January 11 when he finished with a season-high 12 points against the Cavaliers – looked like he hadn’t missed a beat, drilling all three treys he attempted to finish with nine points in just under 12 minutes of work off the bench. 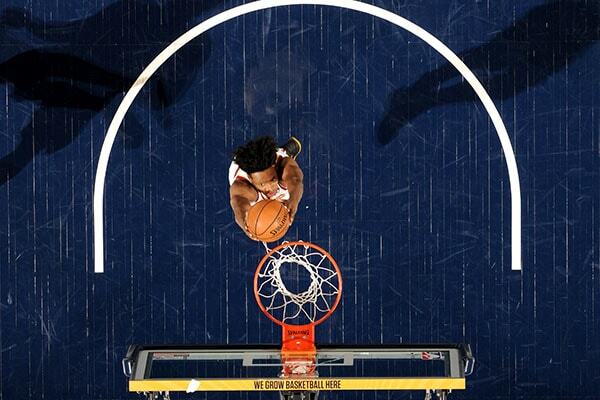 Collin Sexton tallies his 48th double-digit scoring effort in Saturday's loss to the Pacers. Bojan Bogdanovic led both squads with 23 points – going 9-for-17 from the floor, including 3-of-7 from three-point range. Corey Joseph (10 points, 10 assists) and Domantas Sabonis (13 points, 10 boards) each doubled-up off the bench for Indiana, which beat Cleveland up on the boards (43-30) and scoring in the paint (54-32). Overall, the Cavaliers went off for 16 three-pointers in Saturday’s loss – with Sexton, Knight and Channing Frye all with perfect marks from beyond the arc and Nance going 3-of-5. Turning Point -- There wasn’t any specific turning point in Saturday night’s defeat. It was more of a death-by-a-thousand-cuts type affair. 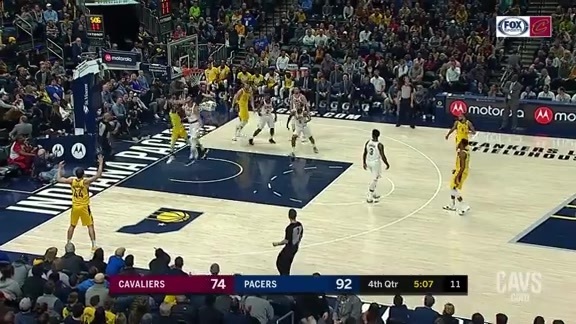 But two moments that spelled doom for the Wine & Gold in Indy came at the start of the third quarter when, after trailing by a dozen at half, Cleveland went frigid from the floor, starting the period going just 2-of-8, netting just four points through the first six minutes of the second half. 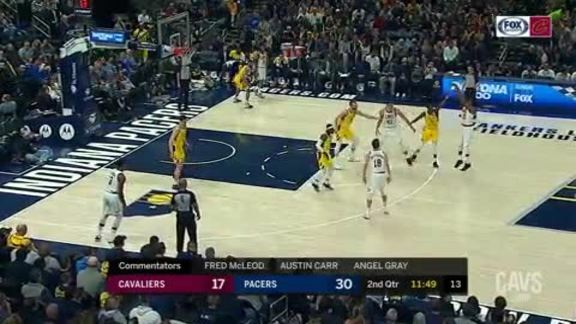 The Pacers put the affair on ice early in the fourth quarter. 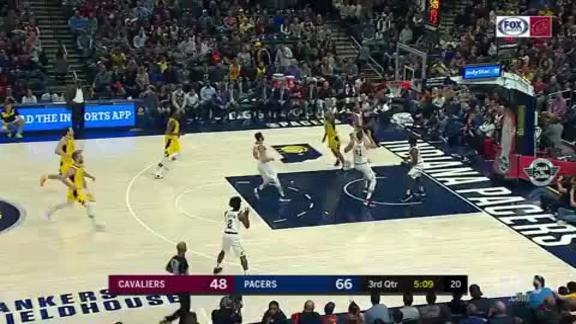 With Cleveland cutting their lead back to 12 on Marquese Chriss’ dunk with 11 minutes left in the game, Indiana went on a 19-10 blow things open. By the Numbers – 12.2, 12.8, .500, .500 … Larry Nance’s scoring and rebounding average – along with his shooting percentage from the floor (24-of-48) and beyond the arc (5-of-10) – over his last five games. "It felt fun. I am thankful to God that I got a chance to go out there and play. I’ve been through a lot; but I’m feeling great. So just to get to put on the Cavs uniform and go out there with my teammates and be in battle, it feels great." Up Next -- After dropping both games on their quick two-game trip, the Wine & Gold come home to close out the unofficial first half of the season – welcoming the Knicks on Monday night followed by a visit from the Nets on Wednesday in the final two games before the All-Star Break. On the other side of the respite, the Cavaliers stay home for some Western Conference foes – with the Suns, Grizzlies and Blazers coming to town before Cleveland heads to the Big Apple, closing out the month of February with a date against the Knicks. 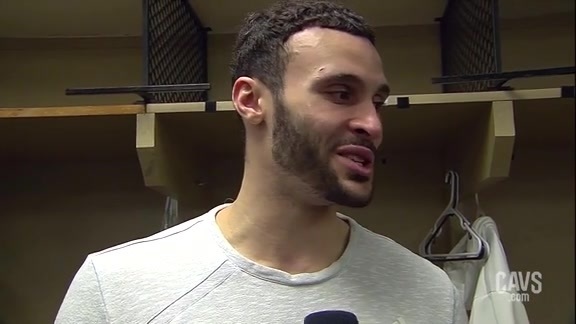 #CavsPacers Postgame: Larry Nance Jr.
Cavaliers forward Larry Nance Jr. spoke with the media following Saturday’s loss to the Indiana Pacers at Bankers Life Fieldhouse. 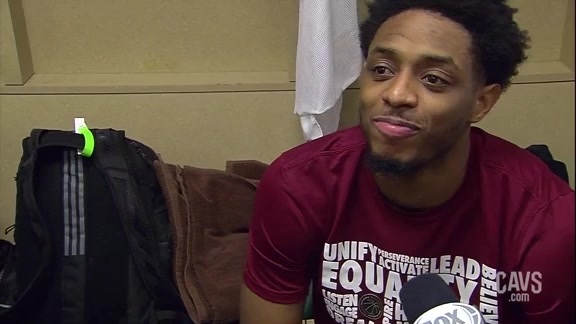 Cavaliers guard Brandon Knight spoke with the media following Saturday’s loss to the Indiana Pacers at Bankers Life Fieldhouse. 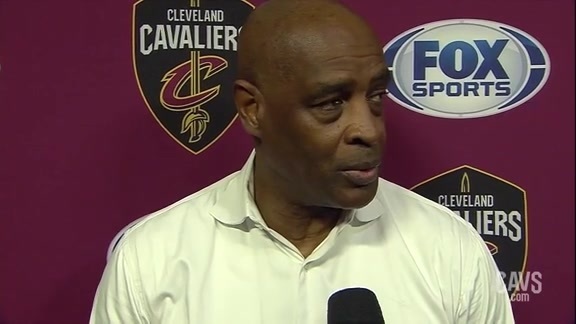 Cavaliers Head Coach Larry Drew spoke with the media following Saturday’s loss to the Indiana Pacers at Bankers Life Fieldhouse. Jordan Clarkson leads Cavs in scoring with 18 points as Cleveland falls to Indiana on Saturday night. 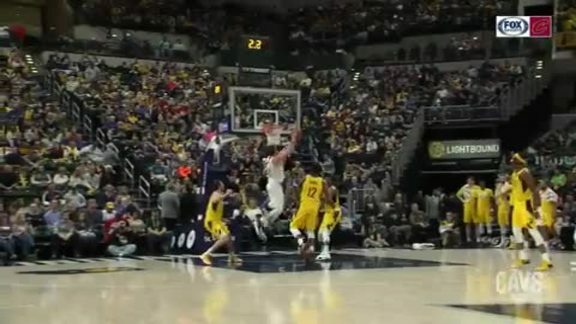 Larry Nance Jr. blocks Indiana's shot with authority midway through the final frame. Blossomgame soars down the lane before throwing the hammer down in the third quarter. Jordan Clarkson hits the fancy layup in the paint during the third quarter. 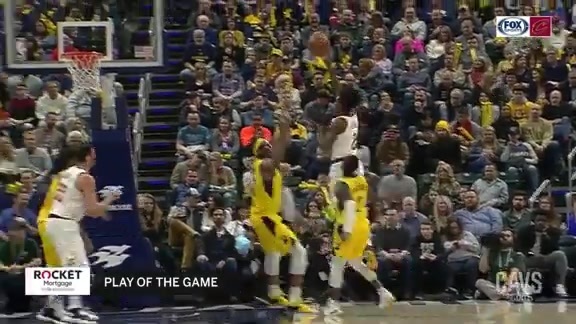 Collin Sexton makes an incredible play on the ball after grabbing the rebound and racing toward the other end of the court for a two-handed dunk in this ‘More Driven Highlight’ driven by Goodyear. 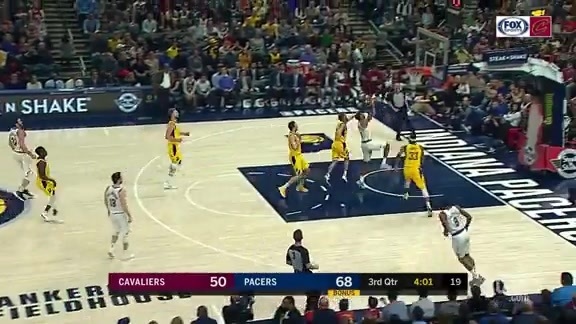 Delly tosses a alley-oop to Larry Nance Jr. from behind the arc to close out the first half in Indianapolis. Collin Sexton nails the floater while getting fouled in the process during the second quarter on Saturday night. Brandon Knight knocks down his first points as a Cavalier with a long ball in the second quarter. 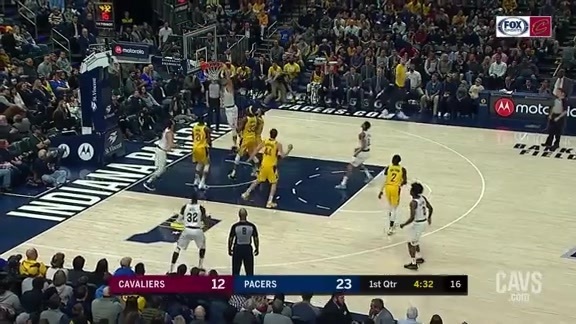 Ante Zizic throws down the two-handed flush in the first quarter on Saturday night. 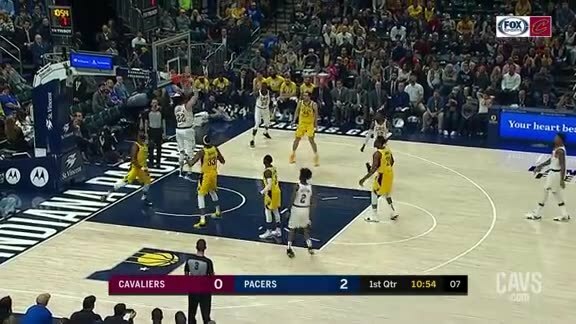 Larry Nance Jr. throws the hammer down early in the game against the Pacers on Saturday night.